If you run more than one WordPress install, or if you have clients that run WordPress sites that you’re responsible for, then you know how much of a pain it can be to log in to each site every time you need to do things like update plugins, themes, or WordPress core itself. With the release of WordPress 3.0, we now have the ability to create a network of WordPress sites with one installation through the multisite feature. However, your needs may go beyond what multisite allows you to do, and so you may need to explore other options. Fortunately, there are a number of solutions out there that will let you manage multiple WordPress websites from one central location. In this article, I’ll share some options with you and give you a brief overview of each. 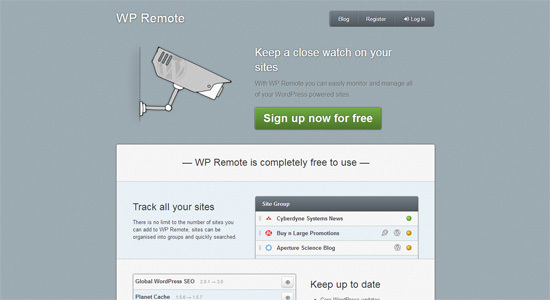 WP Remote is a simple and free solution that will allow you to do a few basic tasks related to managing multiple WordPress sites. While you do need to install the WP Remote plugin for each WordPress installation, your administration panel for managing your sites is in one central location on the WP Remote site. ManageWP has an array of free features (e.g. one-click updates and a centralized admin dashboard). This tool allows you to manage up to five websites for free. There are also three premium plans that start at $4.00 (for up to five websites) that give you access to ManageWP’s premium features. Below are a few of the more important premium features available. 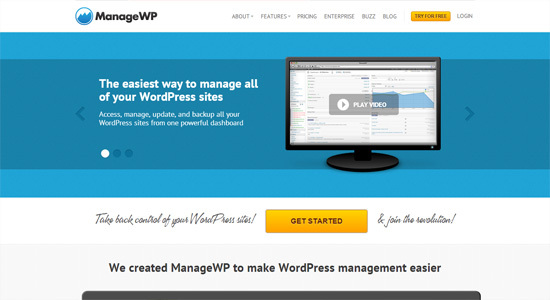 Worpit allows you to manage a network of WordPress sites in one central location. 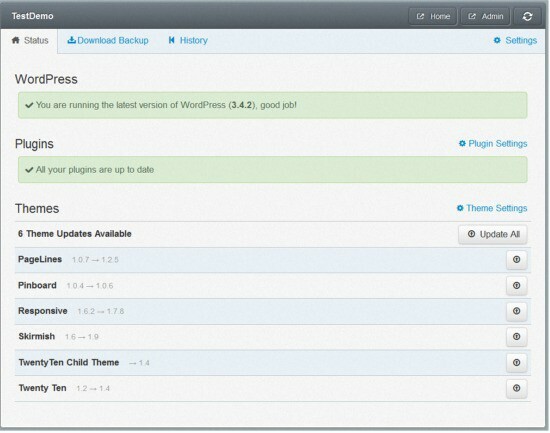 A couple of Wordpit features are instant backup and recovery and bulk updating of WordPress plugins and themes. 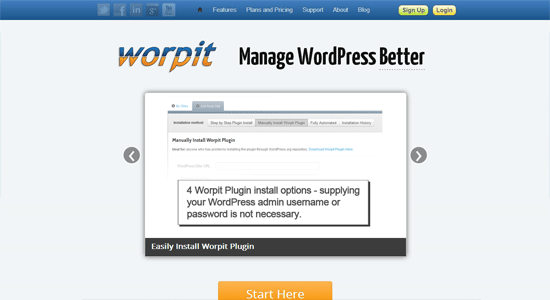 You can manage one site for free with Worpit. There are six different paid subscriptions, ranging from five sites for $1.60/month, up to 500 sites for $160/month. CMS Commander, in addition to letting you manage multiple WordPress sites, also lets you manage multiple Drupal, Joomla, and phpBB sites as well. 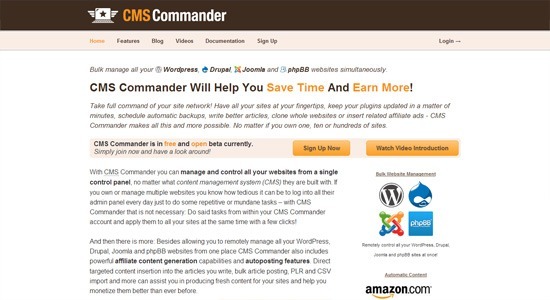 You can use CMS Commander free for up to five sites. After that, prices go from $9.90/month for 10 sites, all the way up to $64.90/month for 200 sites. All of the solutions above have some type of free version available, which makes for easy testing. It should be noted, however, that many of these tools aren’t simply plugins (even though you may need to install a plugin as part of the set-up process). And so if you decide to test them out, it may take a little more time to get them going than a regular WordPress plugin would. In the long run, however, you’ll save time by being able to manage multiple WordPress sites easier and better.